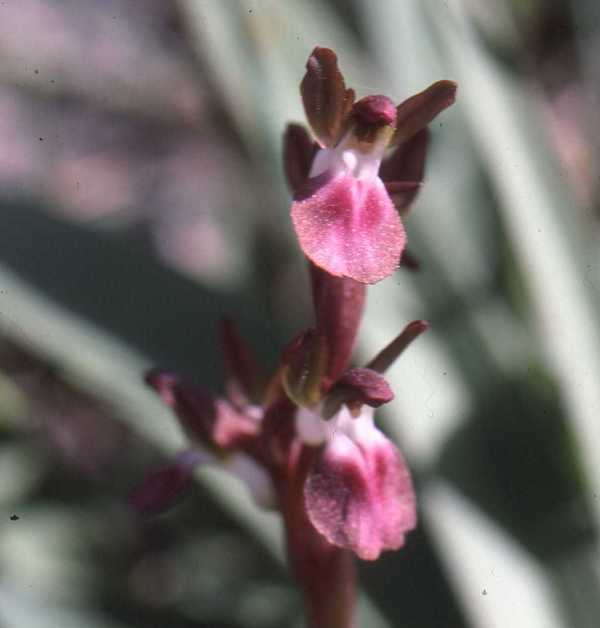 The beautifully-marked flowers on this orchid, previously better known as Orchis saccata, can vary from greenish-white to dark pink-to-purple. The name saccata refers to the sac-shaped spur, which can be either white or pink. This plant grows in full sunlight on dry alkaline grassland, in garrigue, and on the edges of woodland - frequently close to the coast. It can reach a height of 40cm and has two successive waves of flowering, starting in January and February with the main flowering season beginning in March and continuing through to April. The later flowering plants are more robust than the earlier ones. 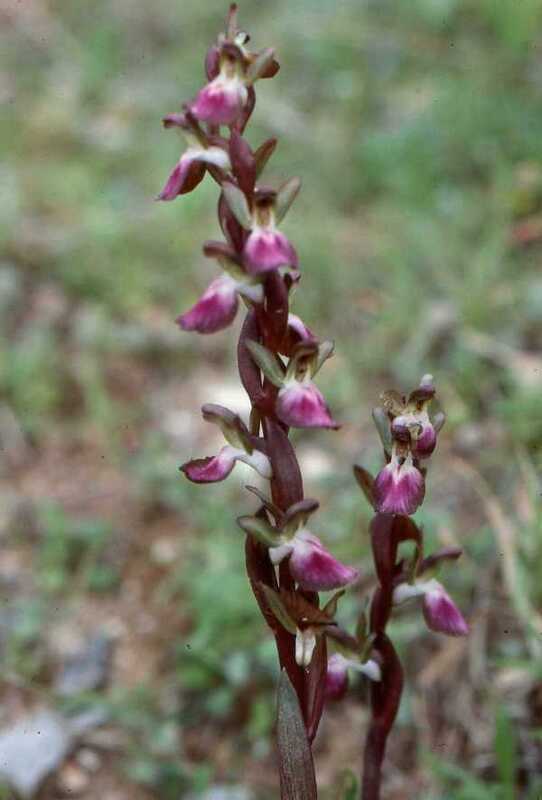 The Fan-lipped Orchid is most common and numerous in Crete at altitudes of between 400 and 800m above sea level; the specimen shown on this page was photographed in Crete.